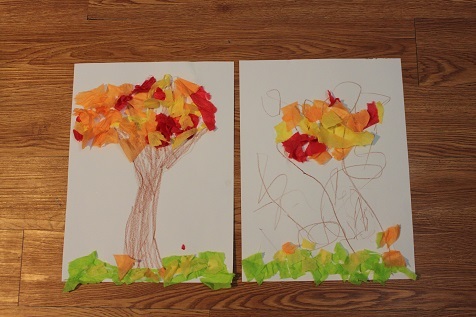 This was a simple and cute fall craft that Hailey and Hunter both enjoyed. 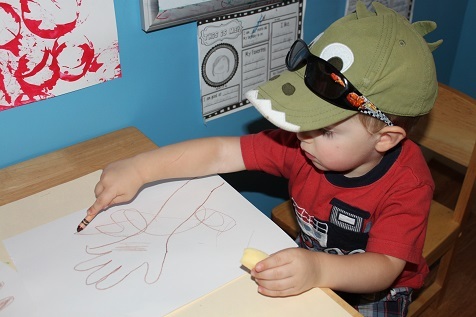 First I traced their hand and arm. Then they colored it brown to look like a tree. 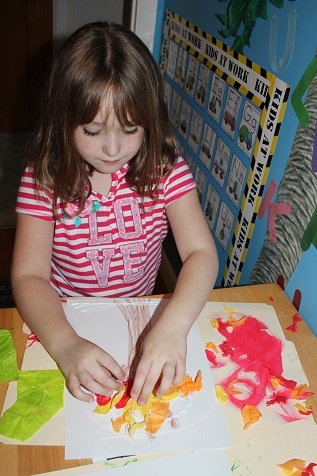 Then they added torn up tissue paper for leaves and grass.